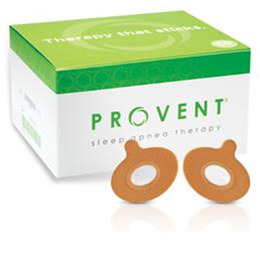 Provent Sleep Apnea Therapy is a simple, efective treatment option for OSA. Provent’s proprietary MicroValves use the power of your own breathing to create Expiratory Positive Airway Pressure (EPAP) which helps keep your airway open, and enable natural airflow, while you sleep. Call 800-924-1343 to order today!